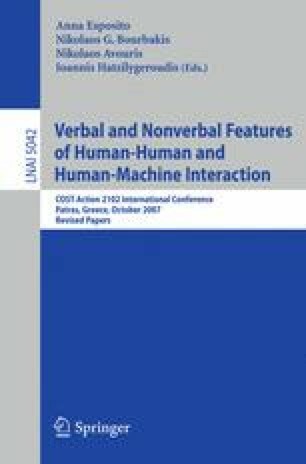 The paper is concerning some problems which are posed by the growing interest in social interaction research as far as they can be solved by engineers in acoustics and speech technology. Firstly the importance of nonverbal and paraverbal modalities in two prototypical scenarios are discussed: face-to-face interactions in psychotherapeutic consulting and side-by-side interactions of children cooperating in a computer game. Some challenges in processing signals are stated with respect to both scenarios. The following technologies of acoustic signal processing are discussed: (a) analysis of the influence of the room impulse response to the recognition rate, (b) adaptive two-channel microphone, (c) localization and separation of sound sources in rooms, and (d) single-channel noise suppression.